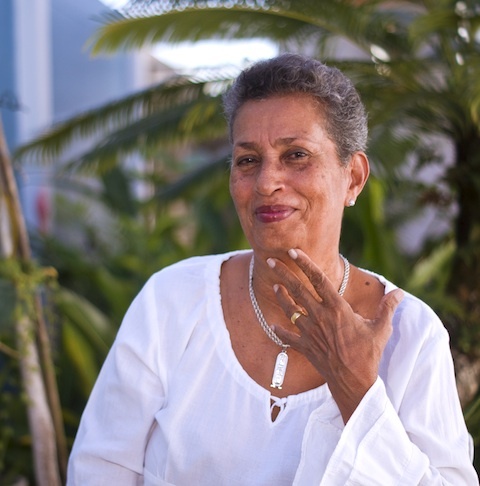 Two days ago, the CRB published “Flood”, a new piece of fiction by Trinidadian writer Barbara Jenkins, excerpted from her novel-in-progress De Rightest Place. Jenkins, past winner of the Hollick Arvon Caribbean Writers Prize (among other awards), published her debut short story collection Sic Transit Wagon in 2013. 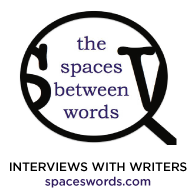 CRB deputy editor Shivanee Ramlochan engaged her in a short email interview about her current writing, the impact of the Hollick Arvon Prize, and how everyday concerns filter into her fiction. Shivanee Ramlochan: This excerpt from De Rightest Place whets the appetite, much as the characters it highlights find themselves drawn towards certain kinds of hunger. How far towards the novel’s completion are you, and are you enjoying the process of building this world? Barbara Jenkins: The first part of your question is difficult. It’s a novel experience for me to be growing a novel, and I’m doing so guided by raw instinct. I feel I ought to be drawing it to a close soon: things have come to a head, and while not falling apart are certainly showing signs of fracture and reorientation — some things have become dominant in unexpected ways, others seem a little underdeveloped. So, to return to your question, how far am I? Well, maybe near to finding a resolution of sorts, but then I need to go back to what’s already there and do some massive reworking — pruning and thinning and chopping down and weeding and maybe even sowing some new select seeds in strategic locations. And am I enjoying building this world? You bet I am. I get lost in the place, the people, their motives, their sayings and doings. It’s a parallel world to escape to. SR: The Hollick Arvon Caribbean Writers Prize, which you won in 2013, offered significant boons towards the completion of a novel, including a literary mentor and a spot on a prestigious Arvon writing course. How would you say the prize has helped De Rightest Place come into its own space? BJ: Without a doubt, I owe where I am with this novel to the Bocas Lit Fest and the Hollick Arvon Prize. I left it to Arvon to find me a mentor, and they got me Bernardine Evaristo. What a mentor! What a writer! Our book club was reading her Mr Loverman at the time, and I thought that her style, her touch were just so much what I felt about what I was writing and what I would like to see in my novel. It was a “marriage made in Arvon” and consummated over a period of a year through email. I’d send Bernardine work by a deadline of her choosing; she’d reply with reflections, questions, suggestions; and I’d answer — a real conversation that helped me refine what I was doing. Really basic stuff like plot outline, character map, stuff I hadn’t thought about, that made my focus sharper, my thinking clearer. It was brilliant. Totally new to me. And so necessary. That mentorship, which ended in June 2014, got me to where I am now, and I’ve hardly moved on — eyesight issues now resolved and other “life matters” always ongoing, but she left me in a place where I know where I’m going and I’ve just got to do the one-foot-in-front-the-other thing to get there. SR: It’s no secret that, as far as Trinidadian letters are concerned, you’re the veritable doyenne of the short story form. What has the transition been like, from crafting short stories to working on a full-length novel? BJ: It won’t be false modesty to deny the label “doyenne” — I’m learning and learning still. I’ve learned a lot lately from reading other Trinidadian short story collections — notably Rhoda Bharath’s The Ten Days Executive and Sharon Millar’s The Whale House. I was recently the inaugural British Council International Writer in Residence at the Small Wonder Short Story Festival at Charleston House in Sussex, and there I was exposed to dozens of short story writers and hundreds of short stories — and what all of that showed is how new, how raw, how unformed my craft still is. I would love to write lots more short stories and better ones. A novel is entirely different. It’s not just size and scale. With a short story, you take one thread and examine it minutely and deal with the essence of it. With a novel, it’s holding dozens of threads of different colours and weights and textures to weave a tapestry whose design must change and morph and unfold over a period of time, while having some sort of cohesive weft and warp to hold it together. SR: Is De Rightest Place being primarily written in Trinidad? If so, what are the benefits or effects of working on a creative fiction manuscript, while being ensconced in local space? BJ: Oh yes. De Rightest Place is set right here. There are a couple of flashbacks to other locations, but here IS De Rightest Place. I like being embedded here — the immediacy of sensation — heat, light, rain, mosquitoes, noise, police sirens, birdsong, plants, wind, bamboo creaking, human voices influence how you feel, are feeling, noticing, as you’re writing. I don’t use air-conditioning in my writing space. I want to be in touch through all my senses with here, with now. It could be that I lack imagination and must feel to know, but that’s OK with me. I’m a grounded, practical sort of person, I think. SR: Political furor, environmental scandal, human rights violations: so much goes awry with the world, on both a regional and international scale, while a writer works on shaping her very specific acreage in print. To what extent do you think external events filter into the day-to-day, page-by-page production of the novel? Is there a chance that, on some miniature level, almost everything gets written in? BJ: For sure. The stuff of life, of human relations, of people’s priorities, of their desires — what else is there to tap into? How people behave in specific circumstances of ease or challenge, what people value, these vary from country to country. While they are not fixed, the priorities, the values, I mean, they do say something about a place at a moment in time. And capturing that in one’s characters and situations gives authenticity to the story that you’re telling. To write about the 1990s in T&T, for example, and not have the long shadow of the attempted coup and its aftermath cast over a character’s approach to life, is to write fantasy — which is OK if your character lives in a bubble or a cocoon, but even then the character would meet people whose values and philosophy have been affected. We have a national amnesia about that traumatic event that I didn’t understand until I read Kazuo Ishiguro’s novel The Buried Giant, where in a mythical post-Arthurian Britain a spell was cast that brought a mist of forgetfulness over the people, so that they could live in a false peace, forgetting wrongs lest the attempts at righting them brought discord. I think we have a collective amnesia about the hundreds of years of enslavement of African people, and about lots of other things. It may bring peace, but the aftereffects are there, shaping who we are and how we relate to one another. Guilt, shame, there as undercurrents in our relations. Claiming what’s around us, examining them, understanding them, seeking truth, not “moving on,” that’s how to avoid repeating mistakes, human errors, of the past. I feel that any writer here, now, cannot help but hold a mirror to us as we are, and seek through storytelling to find buried truths about how we came to be as we are — and perhaps tell or hint of a way to make us better.